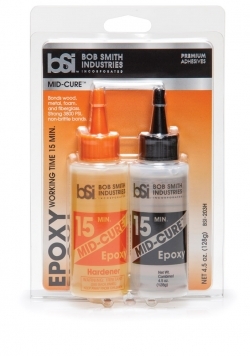 performing adhesives, with top-notch technical support. guarantee on standard CA and a two-year guarantee of the foam-safe and toughened variety, as long as it is kept at room temperature or lower. resistance, strength, and fast bonding make it ideal for use on rubber components, such as Beechcraft’s King Air executive transports. 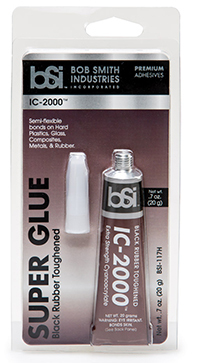 IC-2000 has found a home in golf club and speaker repair shops, and is ideal for the carbon composites used in aerospace. 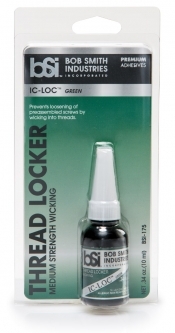 is an odorless brush-on CA that works best on plastic model assembly. 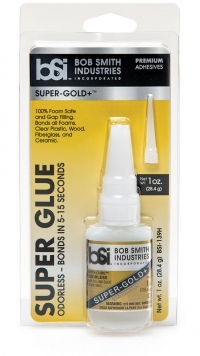 It is packaged in a bottle with a brush built into its top, which in many cases is an easier way to apply the adhesive. 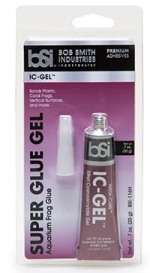 The odorless formulation makes Plastic-Cure™ ideal for children to use in assembling their various projects. 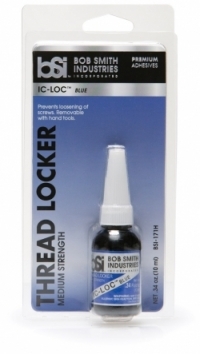 It is safe to use on all materials, including foam. 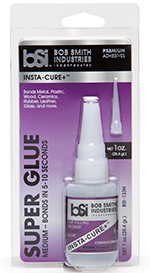 Plastic-Cure™ is also superior for the application of false nails and wraps on fingernails, where its brush is the preferred method of application. 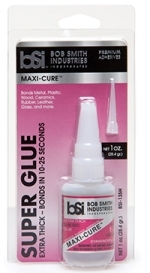 Helps fulfill the promises of instant glues. 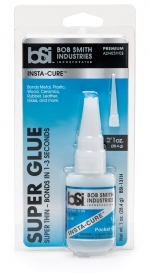 After joining parts with Cyanoacrylate (CA, super glue), spray the seams with Insta-Set to cure the CA that usually oozes from joints (cures 8 seconds). 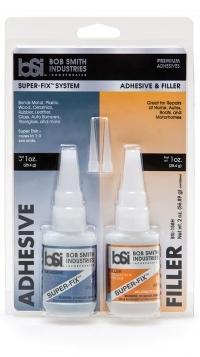 To reinforce a joint’s strength, a bead of thicker CA can be applied to the outside and corners of joints before another application of Insta-Set is used to harden the CA. For materials that are difficult to bond, Insta-Set can be applied to one part (with CA on the other) before joining the components. 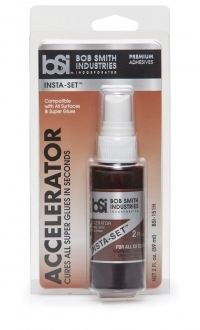 Insta-Set has minimal impact on the cured strength of CA, and is compatible with all surfaces, including clear plastics and all foams. Used by industrial firms like Boeing, Cessna and Tesla to speed up production, Insta-Set helps give consumers the strong, instant bonds they are looking for. Will soften cured CA. 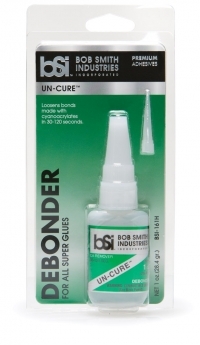 If parts are bonded incorrectly or your fingers are stuck together, a few drops of Un-Cure will dissolve the CA in about a minute. Apply on bonded skin and roll apart fingers. 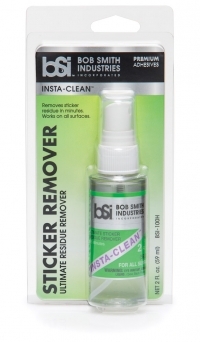 Once stuck, use acetone to clean off softened CA, then wash off with soap and water. 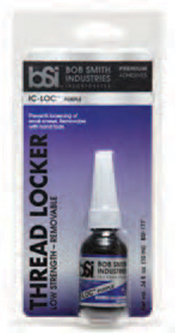 Since cured CA is essentially acrylic plastic, anything that will dissolve CA will also soften most plastics. Care must be used, therefore, when using Un-Cure on plastics. Separating plastics parts with a razor saw is usually the best option. 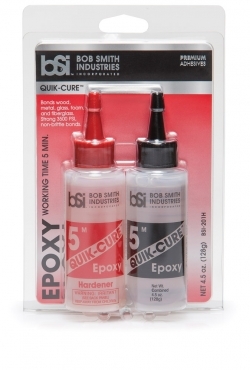 Has been specifically formulated for applying grips and mats for recreational vehicles. 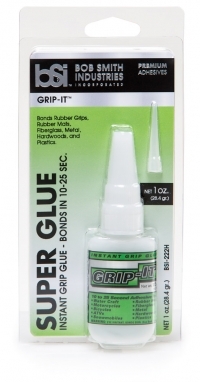 Grip-It™ works great on all makes of grips for motorcycles, jet skis, snowmobiles and bicycles. Grip-It™ has a 10-25 second working time and the grip is rideable within 5 minutes. Grip-It™ also works great for replacing rubber mats. 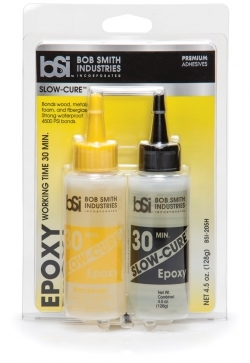 Silicone based adhesive that works very well on EPP and EPO foams. 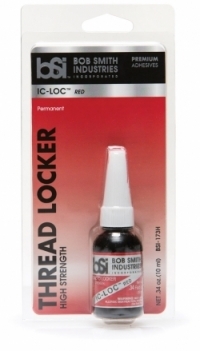 It is crystal clear and cures to a more flexible consistency than CA. 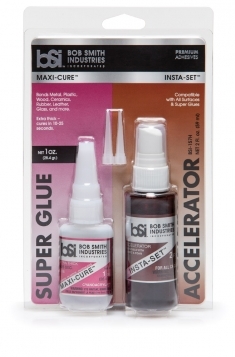 It is, however, not instant bonding like CA and there is no accelerator to speed it’s curing. 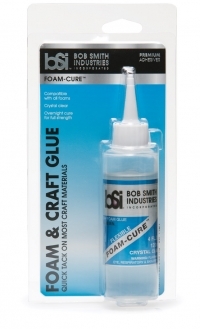 To obtain a faster initial bond when bonding two pieces, FOAM-CURE™ can be applied to one piece and after the two are joined, they can then be pulled apart. After letting it air dry for about ten minutes, FOAM-CURE™ will act like a contact cement when the parts are rejoined, resulting in enough tack strength to allow the next steps of assembly. Full strength is reached in 10-12 hours.